About 1 in 3 Americans can be classified as obese and I was one. I was gaining about 20 pounds a year. So if I’m doing my math correctly, I’d weigh around 250 pounds right now. Among the many complications that come with obesity are poor balance, a weak core, and an altered gait. Risk of hip fractures double every five years in post menopausal women older than 50. Exercise does help with bone density, but not as much as you might think. It will replace about 5% of the bone loss. But the exercise does help prevent injuries and aids in healing. Only 20% of hip fracture victims return to normal activity. So if 250 pound me with poor balance and impaired gait tripped and I had a fracture, I’m certain I would have been one of the 80% that do not heal properly. I was on high blood pressure meds in June 2009. So the 50 additional pounds of fat would have made things even more complicated. Hypertension can lead to stroke, cardiovascular disease, chronic heart failure, and kidney failure. Considering my family’s health history and my anxiety attacks at the time, I’m fairly certain I would have had a cardiac event by now. Not sure about this one. My text says it’s the 7th leading cause of death in the US and it is related to abdominal obesity. I’m sure I had risk factors for this, but my hunch is that the complications from hypertension would have caught up with me before diabetes by now. 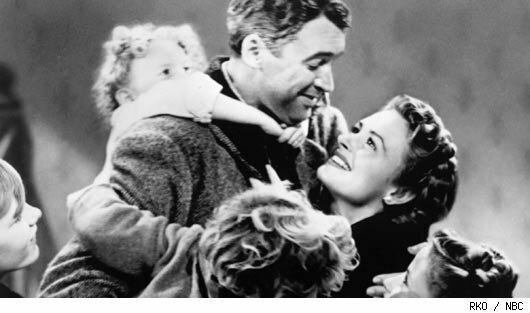 So why did I play “It’s a Wonderful Life” with myself today? I needed perspective. I spend a lot of time thinking about my training program and diet. I worry about being ready for the show in August. I talk to people who have been lifting and/or bodybuilding for decades, or people who are 20-25 years younger than I am. Most of these people have never been in the poor shape I was in three years ago. Despite the work I’ve done since June 2009, the decades prior to that were not healthy. I smoked for a decade. I ate crap for 4 decades. I didn’t exercise regularly for 3 decades. I basically rewired my biochemistry to store fat and pump stress hormones. I love the bodybuilding lifestyle, lifting is my passion, and I’m addicted to the endorphins. But all of that can be a distraction from what’s important. The quality of my life is soooo much better than it was three years ago. I’m happy. Sure, there are stresses and bad days, but I’m content and happy. I’m practicing “self-care” instead of “self-neglect”. I need to keep reminding myself to not worry about being ready for something on any particular date. I’ve been at this long enough now that it seems everyone, including myself, has forgotten what I’ve already accomplished. I changed my life. I lengthened my life. I did the thing I postponed doing for years. The journey is what I enjoy. I will do the work and I have the discipline. I have no doubts about reaching the goal. The “when” is variable – not the “if“. My mother has pre-diabetes. I don’t want to be like her. I’ve made a decision to never have diabetes, ever. I think we choose our bullets. You’ve chosen to turn the gun away from you. Be proud of that. Not too many people have the courage to stare the loaded gun down, but you have.